Do you remember the time when your very first buyer asked you about the transfer of ownership right after an auto sale? It means that every auto buyer needs more than just the car. They also need to have the full legal ownership rights of the vehicle. As such, a motor vehicle bill of sale is fundamental. And, you should have a collection of these documents in your toolkit for business use. 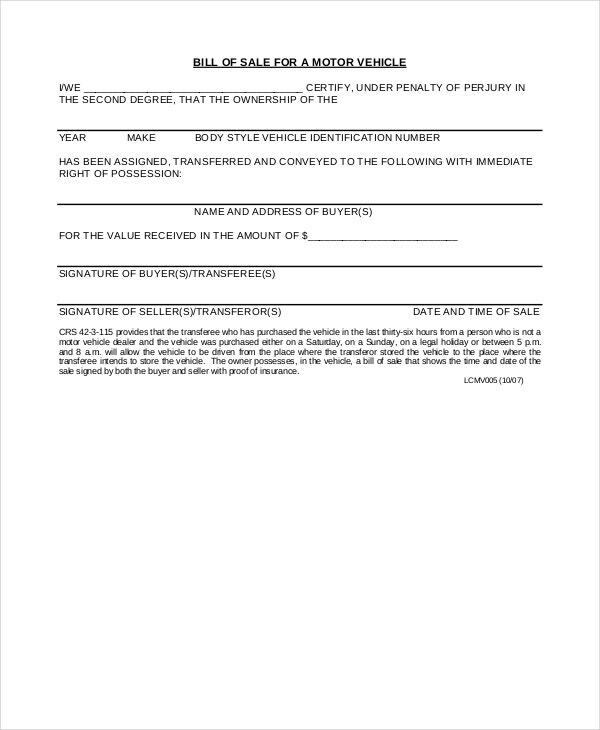 There are variations of these sample forms, but here is a list of the bill of sale templates that you can download for free. At the end of the day, creating this sample file yourself will still seem overwhelming. Therefore, the best thing to do would be to download the file, change the header information, and use it as your primary bill of sale document. These types of forms are generally easy to use. 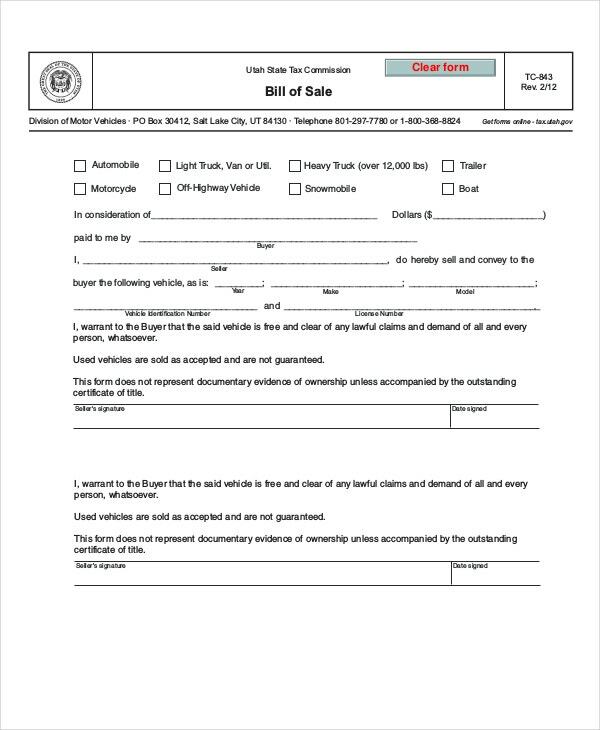 Download the sample file, customize the header, print the document, and then use it as your primary auto vehicle bill of sale. This piece is fit for all types of vehicle sales. Use it to outline the information about the car you are about to sell. 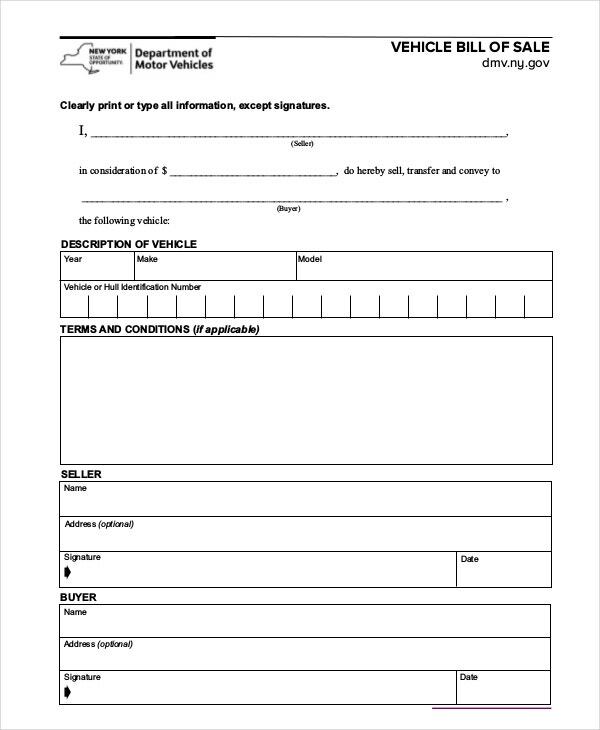 And then, input your signature to certify the transfer of ownership of the car. You can also see Generic Bill of Sale Templates. > Why a Bill of Sale is Important? No one buys durable goods without bills of sale. By durable goods, we mean those items that need solid and verifiable proof that they are legally purchased. In this case, customers will want to have a bill of sale to be sure that the item available for sale is genuine and rightfully owned by the initial seller. 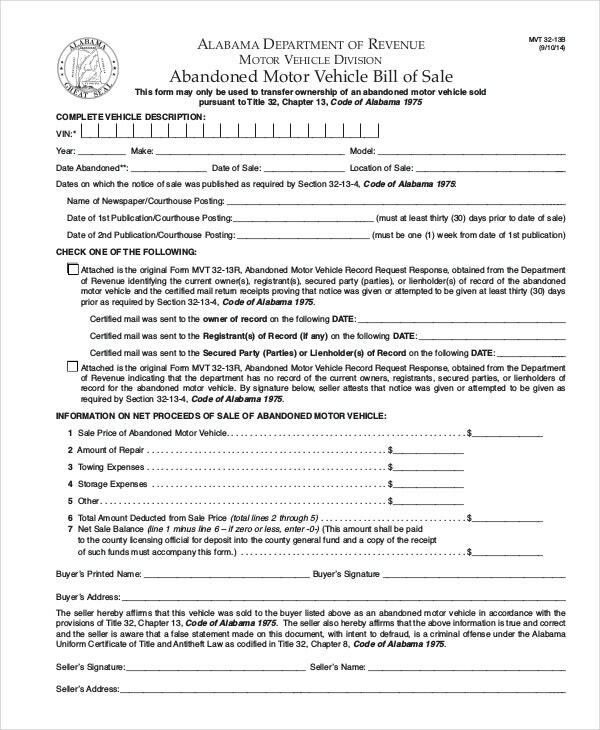 You can also see Vehicle Bill of Sale Templates. A bill of sale is necessary for the transaction. It is like a receipt given after a payment, and you must give it to the buyer before they call the transaction a done deal. Do you have a car you no longer use but it’s still in a good condition? Someone out there may be interested in making a deal. 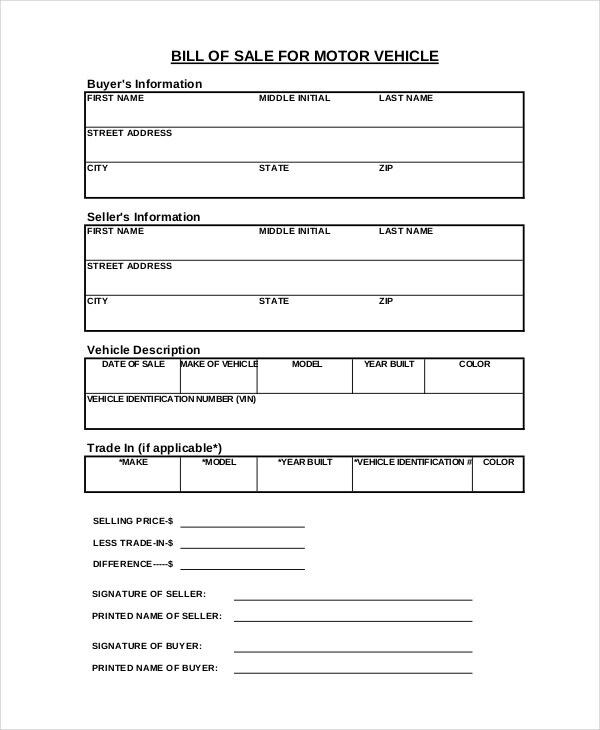 So, why not use this sample template to fill out the car info and use it to attract a sale. You can also see Boat Bill of Sale Templates. If you want to sell your used car, there are high chances that you will land a buyer faster. 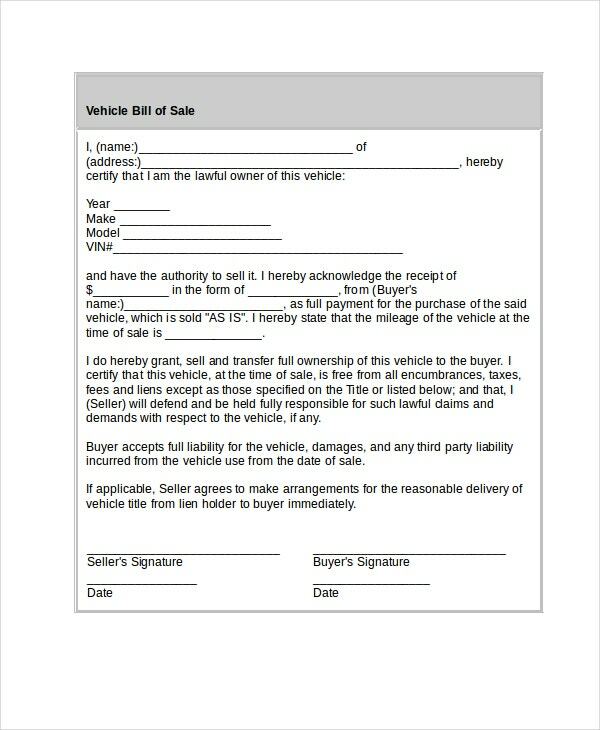 But before you start looking for a buyer, use the above bill of sale template to fill out relevant information about your vehicle. 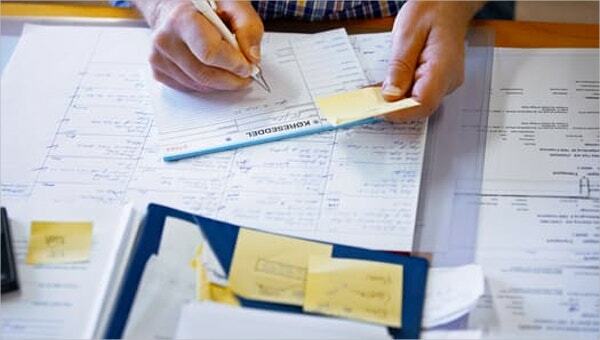 > What are the Benefits of Bill of Sales Templates? The templates are available for free download. Instead of spending a lot of money hiring someone to help you create the templates, all you have to do is download the files listed in this article with a single click of a mouse button. At the end of the day, you save a lot of time and money too. 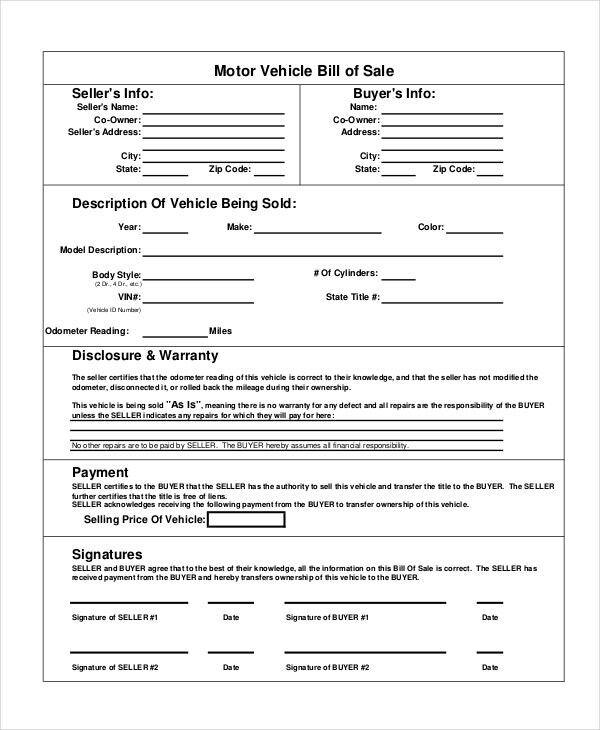 You can also see Car Bill of Sale Templates. The bottom line is that these templates are a time saver. We all want to save time; we want to do things fast and go for techniques that do just that- help us save time. And the good thing is that it is the work of these templates. 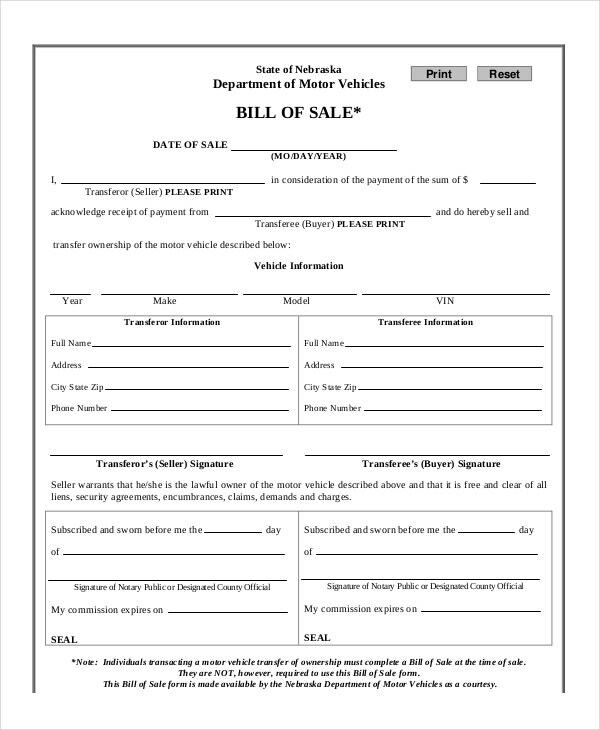 Remember, every time you want to sell a vehicle, you must have a bill of sale. That is why the bill of sale templates are important. You need to do the best you can to make sure that these documents are always available so that you can close the business deal as soon as you possibly can.